Each Shevanti (Chrysanthemum) flower head is actually a cluster of many flowers, composed of a central group of short disk flowers surrounded by rings of longer ray flowers. Chrysanthemums are classified into nine categories according to the type and arrangement of disk and ray flowers - Incurved, Reflexed, Intermediate, Late Flowering Anemones, Singles, Pompons, Sprays, Spiders/Spoons/Quills, Charms and Cascades. For example, the 'reflexed' Chrysanthemum consists of ray flowers that curve downward into an umbrella shape; the 'quill' has tubular ray flowers that radiate from the center of the head. 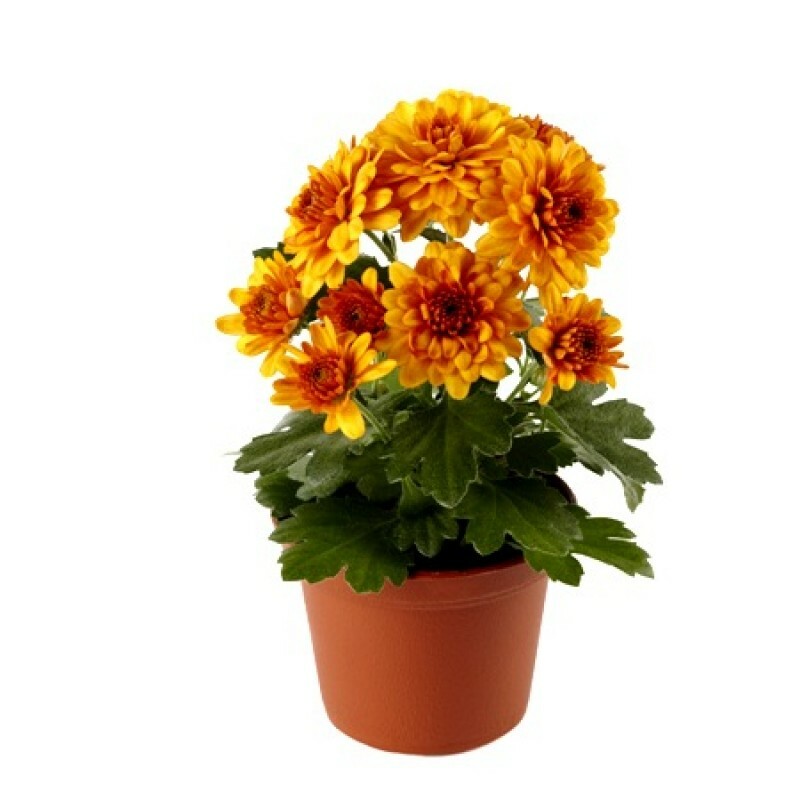 Shevanti (Chrysanthemums) are tropical flowers. Chrysanthemums were originally grown in the Eurasian region. Chrysanthemums belong to the Asteraceae (Compositae) family, which is one of the largest families of flowering plants with over 1,000 genera and about 20,000 species. The Chrysanthemum was brought to Japan by Buddhist monks in AD 400. Japanese emperors so loved the Chrysanthemum flower that they sat upon Chrysanthemum thrones. Chrysanthemums, kikus in Japanese, were featured on the Imperial Crest of Japan. Even today, a number of Japanese cities hold spectacular annual chrysanthemum exhibitions. Chrysanthemums are well suited for container gardening in patios. Chrysanthemum flavored tea is very popular and is used as a relaxant. Recommended by NASA's air purifying study.